After many years of basic research, regenerative medicine (RM) is now beginning to represent a valuable tool to cure several clinical conditions in both acute injuries and chronic diseases. The aim of this study is to update readers on current clinical applications of some selected organs and pathologies which may benefit from RM. An extensive literature research was performed using PubMed, Google and specialized journals. RM has achieved great successes, but there are still several challenges to tackle before it could be used on a daily basis in clinical practice. The crucial point of this revolution is represented by the appropriate and valid translation from bench to bedside. The Asian citrus psyllid (ACP, Diaphorina citri, Hemiptera: Liviidae) is the principal vector of Candidatus Liberibacter asiaticus (Las), the putative bacterial agent of citrus greening/huanglongbing (HLB); currently the most serious citrus disease worldwide. Las is transmitted in a persistent–propagative manner by ACP, and the salivary glands and midgut have been suggested as transmission barriers that can impede translocation of Las within the vector. However, no detailed ultrastructural studies have been reported on these organs in this or other psyllid species, although some bacterium-like structures have been described in them and assumed to be the causal agents of HLB. 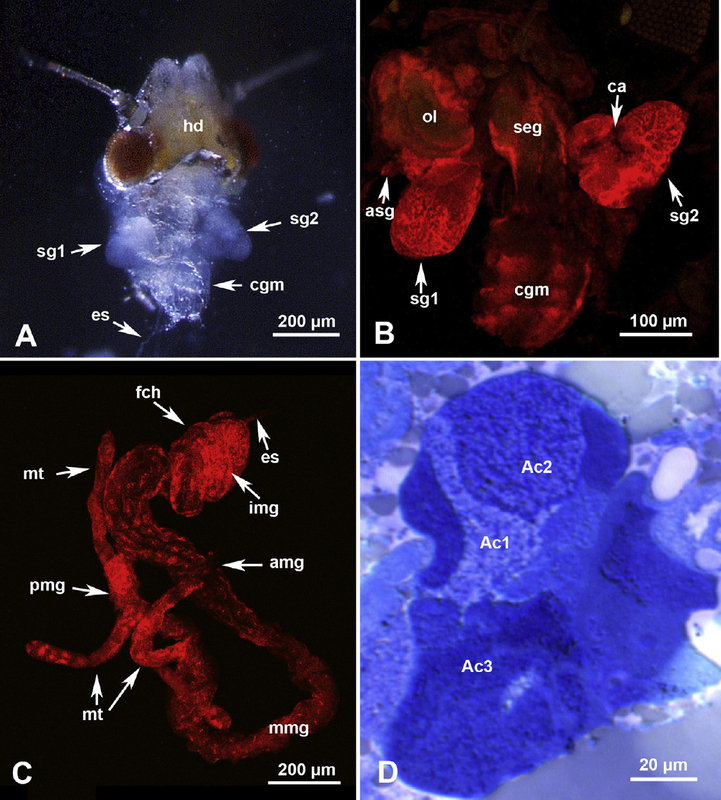 In this study, we describe the ultrastructure of the salivary glands, filter chamber, other parts of the alimentary canal, and other organs and tissues of ACP including the compound ganglionic mass (in the thorax) and the bacteriome (in the abdomen). Furthermore, in addition to two ultrastructurally apparently different symbiotic bacteria found in the bacteriome, other morphological types of bacteria were found in the gut epithelial cells and salivary glands of both Las-infected (quantitative polymerase chain reaction positive) and noninfected (quantitative polymerase chain reaction negative) ACP. These results show the importance of immunolabeling, fluorescence in situ hybridization, or other labeling techniques that must be used before identifying any bacterium-like structures in ACP or other vectors as Las or other possible agents of HLB. This ultrastructural investigation should help future work on the cellular and subcellular aspects of pathogen–psyllid relationships, including the study of receptors, binding sites, and transmission barriers of Las and other pathogens within their psyllid vectors. Drugs and xenobiotics as well as bacterial endotoxins may reach the liver either systematically or after intestinal absorption. Therefore, cells lining the sinusoidal wall form the last barrier before blood constituents get in contact with the parenchymal cells. In this work, the ultrastructure of the cells forming the sinusoidal wall was studied after acetaminophen and Escherichia coli endotoxin treatments. Rats received acetaminophen at a dose of 1000 mg/kg body weight by intraperitoneal injection once in acute and four times with a 1-week interval in chronic treatments, and E. coli endotoxin at a dose of 5 mg/kg of body weight by intraperitoneal injection once in acute and four times with a 1-week interval in chronic treatments. Tissue samples were collected for scanning and transmission electron microscopy. Swelling of sinusoidal endothelial cells was noticed in both acute intoxicated groups with narrowing of the fenestrae, whereas large gaps were formed in chronic toxicity. Activation of Kupffer cells was a prominent common feature between the four toxicity groups. 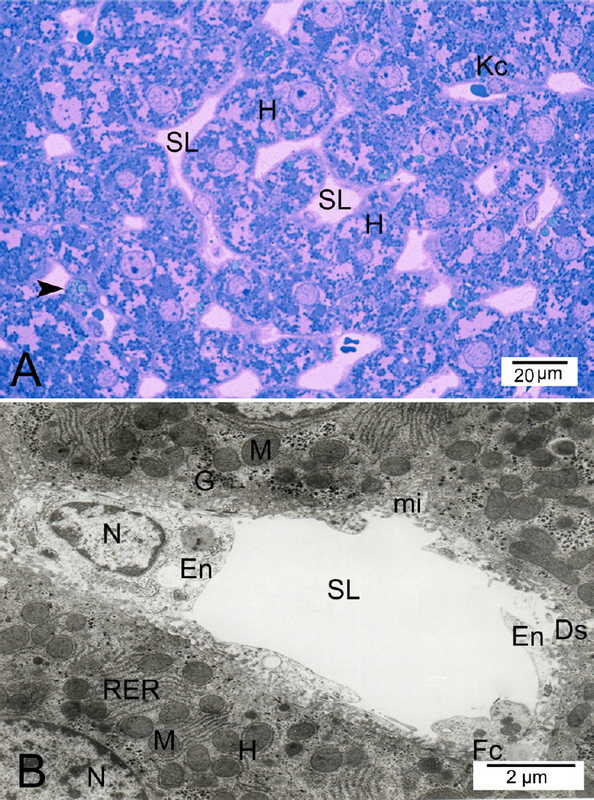 Interestingly, hepatic stellate cell activation was evident in both chronic acetaminophen and chronic endotoxin groups. Large amounts of collagen fibers were seen surrounding the hepatic stellate cells and in Disse space. Pneumoperitoneum refers to presence of free air within the peritoneal cavity, “Pneumoperitoneum induced Peritonitis” is synonymous of surgical pneumoperitoneum, as the leak of air and visceral contents contaminates the peritoneal cavity, producing peritonitis which mandates surgery. This entire pneumoperitoneum may result from inflammatory conditions, traumatic injury, neoplasia, anastomotic leak and vascular causes. The objectives of this study is to determine the incidence of Pneumoperitoneum-induced Peritonitis (surgical pneumoperitoneum) in emergency exploratory laparotomies, to identify the common anatomical sites of perforations and to review the pathological etiology of these cases. Review of 450 cases of emergency exploratory laparotomy cases performed in King Abdulaziz University Hospital from January 2011 to December 2015, among them 131 cases with radiologically documented pneumoperitoneum were selected to be involved in the study of surgical pneumoperitoneum, the anatomical site of perforation and the exact underlying pathology were documented. 29% of exploratory laparotomy cases were found to have pneumoperitoneum, mainly in the in the gastroduodenal region, inflammatory conditions as peptic ulcer disease or diverticulitis were the underlying cause of most of perforations. Pneumoperitoneum frequently indicates bowel injury or disease, hence it is called surgical pneumoperitoneum, Perforations are commonly found in gastro-duodenal area, the inflammatory conditions are responsible for the vast majority of cases, however presence of air with intact bowel, is called Non-Surgical or spontaneous Pneumoperitoneum, which has to be approached conservatively. 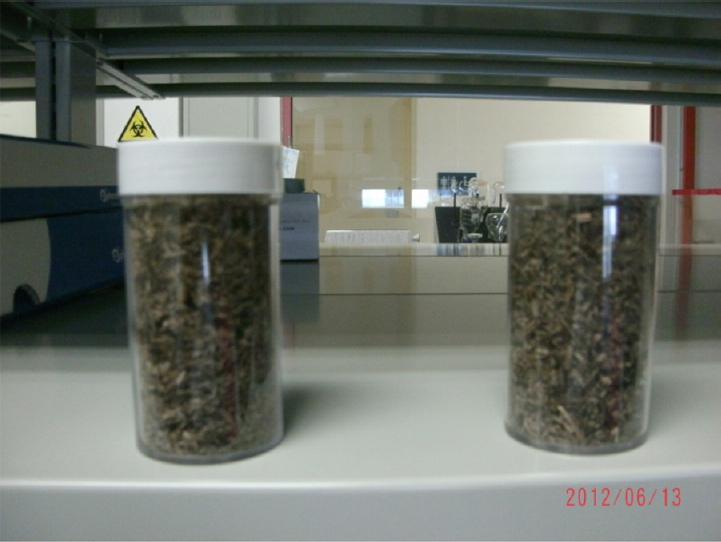 Agricultural waste obtained from Elaeis guineensis mid ribs can provide a veritable source of materials which can be used as precursor materials for the production of pharmaceutical grade activated charcoal. The pore size and surface morphology of activated charcoal defines the types of molecules that could be adsorbed unto it, as surface morphology plays a significant role in determining the surface availability and areas of adsorption. The activated charcoal samples prepared from Elaeis guineensis via either physical or chemical activation was characterized via surface area using the BET method and subsequently pore structure and size analyzed by scanning electron microscopy (SEM). Physically activated Elaeis guineensis fronds activated with nitrogen gas had wide spread microporosity with micropore volume of 0.232 cc/g compared to the chemically activated with 1M and 3M phosphoric acid respectively. The commercial activated charcoal/metronidazole combination in the in vitro-pharmacodynamic model reflected no re-growth after 4 hours, however for charcoal formulated from Elaeis guineensis via chemical activation with 3M phosphoric acid and metronidazole no regrowth was seen at the second hour and this was maintained throughout the duration of the experiment. 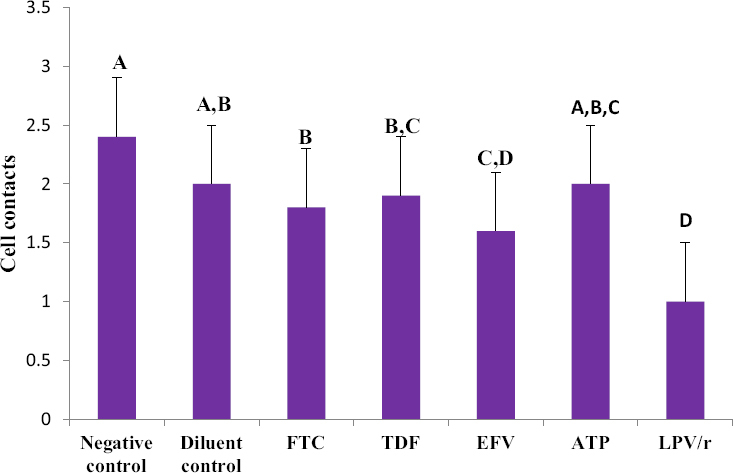 Increased macroporosity enhanced bacterial adsorption and this was further facilitated by the presence of antibacterial metronidazole in the in vitro pharmacodynamic model. Activated charcoal produced from agricultural waste obtained from Elaeis guineensis dried mid ribs consisting of increased macroporosity with mixed meso/micro porosity and antibacterial metronidazole form the best model for bacterial adsorption and will be useful in the treatment of diarrhea caused by E. coli O157:H7. Apoptosis is a tightly programmed cell suicide which occurs in multiple physiologic and pathological conditions where it plays an important role in tissue development and homeostasis by eliminating unwanted and damaged cells. Appropriate apoptosis signalling is crucial in maintaining the fine balance between cell death and cell survival in cancer. In response to death stimuli the morphology of the cell undergoes unique changes. The aim of this study was to examine and compare the changes in the cell surface morphology using scanning electron microscopy in HCS-2 cells, following 24 hour treatment with components of highly active antiretroviral therapy (HAART) at their clinical plasma concentrations. The cells were fixed in 2.5% Glutaraldehyde and post-fixed in 1% osmium tetroxide. The cells were then dehydrated through a graded series of alcohol and treated with hexamethyl-disilazane, then coated with a double layer of carbon. The cells were viewed under a Zeiss Ultra FEG Scanning Electron Microscope and a one way ANOVA and Tukey Kramer Post Hoc test was conducted based on the scoring of surface morphology of the cells using JMP 11 statistical software. The drugs used in this study induced morphological features which are known to be characteristic of apoptotic cell death. The drug combinations (ATP and LPV/r) were seemingly more effective than individual treatments in inducing cell death because morphological features observed were more advanced than those observed in individual treatments. However, LPV/r was more potent than ATP. In conclusion, HAART showed anticancer properties by inducing cell death through apoptosis. Purpose & Methods: The aim of this work was to study the clinicopathological features of Kaposi sarcoma (KS) & kaposiform hemangioendothelioma (KHE) and analyze their immunohistochemical expression of c-Kit, CD34, α-SMA. The study was performed on cutaneous 10 classic KS & 8 KHE. Results: KHE shows several dilated lymphatic channels, focal capillary formation, lack of nuclear atypia and mitosis within tumor cells. These features help to exclude Kaposi sarcoma in spite of the kaposiform pattern of tumor cells. C-Kit was expressed by tumor cells in all KHE cases and in 60% only of KS. All elements within both tumor groups expressed CD34 antibody. α-SMA was expressed by tumor cells in 70% of KS cases and none of KHE. Conclusion: C-Kit and CD34 seem to be reliable at labeling KS and KHE as they can help in diagnosis of these tumors in routinely processed tissue but they don't differentiate between them. If α-SMA also labeled the tumor, then KHE diagnosis can be ruled out. KS & KHE exemplify stem cell tumors that could give smooth muscle cell-like phenotype in KS. Anti C-kit therapy should be tested in KS & KHE to prevent recurrence.